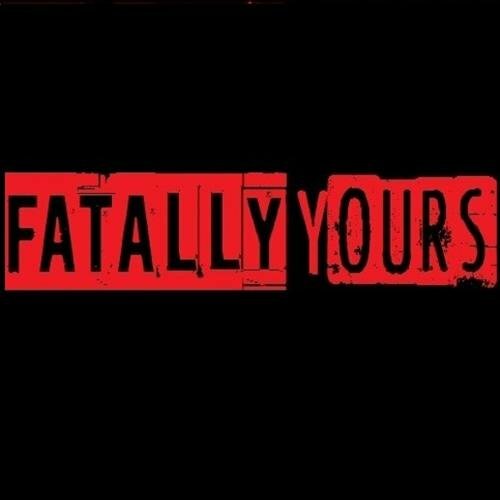 The interview of this week is with Fatally Yours a Rock/Alternative band from Baltimore,Maryland (http://www.fatallyyoursofficial.com ). Members of the band are the singer Keith Thompson, guitarists Christian Rivera and Chris Richard, bassist Chad Rollman, keyboardist Joe Hughes and drummer Jon John Michaud. KT : Thank you so much for having me; it is an honor to talk about my lrics and our songs. I really love what you guys are doing with your site! RYL: We listened to your songs; we can say that everything stands between love and death….by murder…. Why it has to be so violent? What inspired you? KT: Haha. There is love within violence sometimes. Sometimes it is the ultimate way to show your true feelings. Whether that is the right way to show it, it is real. You’ve heard the saying, “Love makes you do crazy things,” right? I grew up being inspired by violent (but passionate) writers: Glenn Danzig, Matt Skiba, hell even James Hetfield. I was inspired by the voice within these songs. They dictated themselves. To be honest, I didn’t labor over them. I wanted each song to come from a different character of a murder story. Though, somewhere twisted and didn’t stay true to the characters, I couldn’t help but to seep hints of my own life into each song. I’m learning that that unintentionally happens as a writer sometimes. RYL:Four songs, four different points of view: a father, a lover, a murderer and in “Calling out” … Is it you? Recently, I was asked if the song was about drug addiction. I have definitely witnessed that world, especially when I was living in Hollywood and touring with my past band, Bleed the Dream. Looking back, I see that and that is what I think about when I perform it live. RYL:Fatally Yours…. How did you decide the name of the band? RYL: Warped Tour is a very important experience; we would say a lifetime experience for a band, especially because of the contact with youth generations….are you planning to come back in tour with them soon? KT: I do. I have kept contact with Kevin Lyman throughout the years. I was on pretty much every date of Warped Tour from 2002 to 2007. That is a lot of dates. This is a new band and I do not expect handouts. You have to earn everything you get in the music business these days. We are looking at 2014 Warped Tour. By then we will have out at least two EPs and have a hundred shows under our belt. Then I will feel like we can offer something rather than just take something. We will attend all of the surrounding Warped Tours to promote and to catch up with friends but as far as performing, I’m not holding my breathe. I’m excited to get back in the mix though, that is for sure. RYL:We agreed on what you are writing in your website, Exit Sign has a great melody and everybody can find his own interpretation of the lyrics…one question: during all the song you are asking for an exit sign but then, once you found it, you need to find the strength to leave? KT: As morbid as it sounds, the “Exit Sign” IS the strength to just leave. The pain of losing his soul mate and his one and only love makes him want to follow her. He needs the strength to take his own life to be with her, together resting as one. The Exit Sign would be a sign from her to follow her into the dark. RYL: You will soon shoot a video of Exit Sign or any new song? We would love to see Every Moment! KT: YES!! That is surely on tap. The EP comes out in april and we will release a video for “Exit Sign” in June. Your right on it because “Every Moment” will be up next, for sure. So glad you like that one! We end our nights with that one and really pour it on. It is a very emotional song for me. RYL: We saw the video of you and your son singing Mama I’m Coming Home of Ozzy, any plan to bring your son soon on stage? Great guitar player! KT: Hahaha! Oh, you had that huh? He is just so awesome. I learn from him every day and all I really want in life is precious moment with him and my wife and maaaybe another kid. We will see!! Haha. It’s funny you ask that because I am planning to have him up at our next show being that we go on early and that it is before bedtime!! Haha. We will see if he actually gets up with us. I won’t be shocked if he does. The kid is fearless and wants to ROCK! !